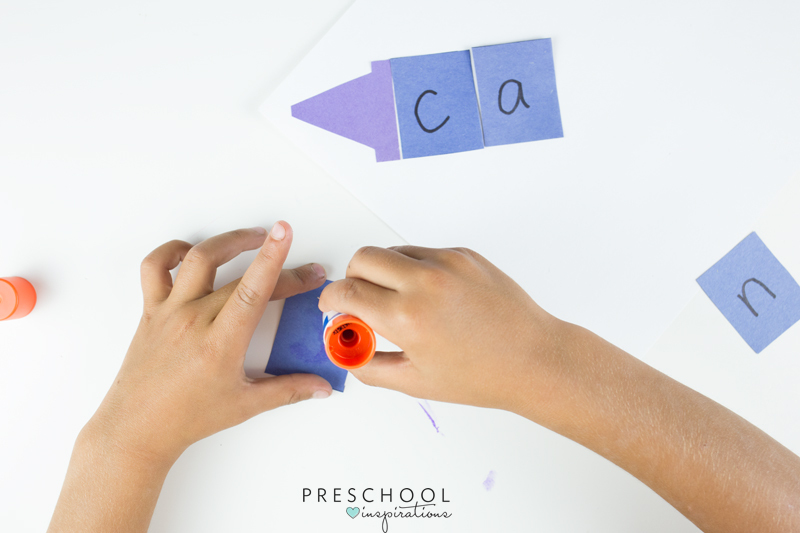 This simple name craft is a fun and easy way for children to explore the letters in their name. It is back-to-school time and one of the first things preschoolers will learn at the beginning of the school year are their names! 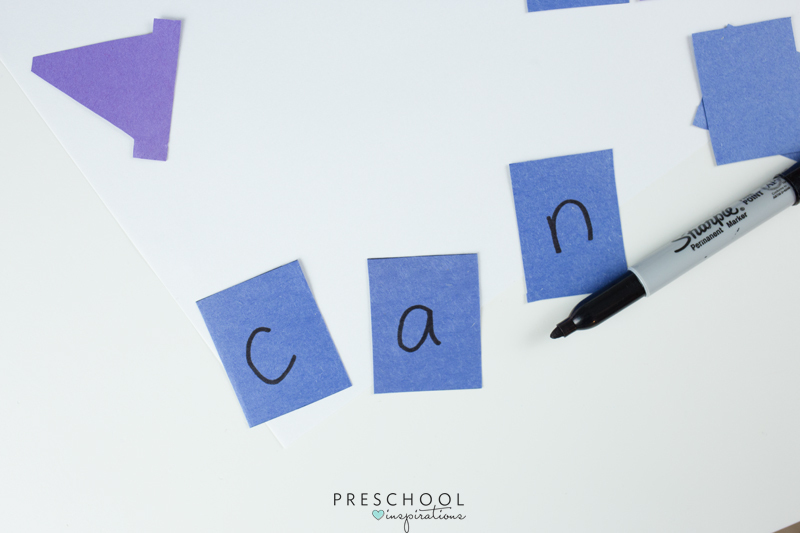 Recognizing their own name is an important skill for preschoolers, and it teaches them so much. This simple back-to-school name craft is a great way to introduce the individual letters that make up a child’s name. 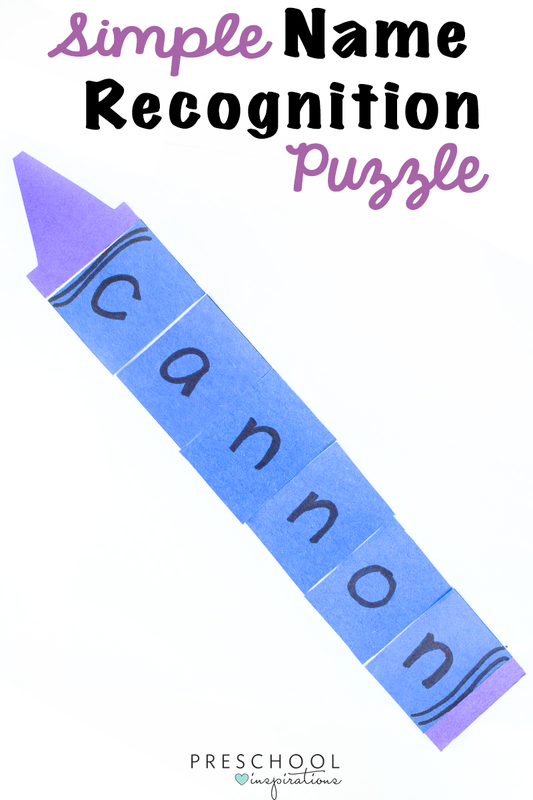 This fun name recognition puzzle is made to look like a crayon! It is so simple and really fun to display on bulletin boards in the classroom. It is made up of individual pieces of paper featuring the letters that spell the child’s name. These individual pieces of paper help children to focus on each letter that makes up his/her name, while putting them all together in the craft helps them recognize their name as a whole! 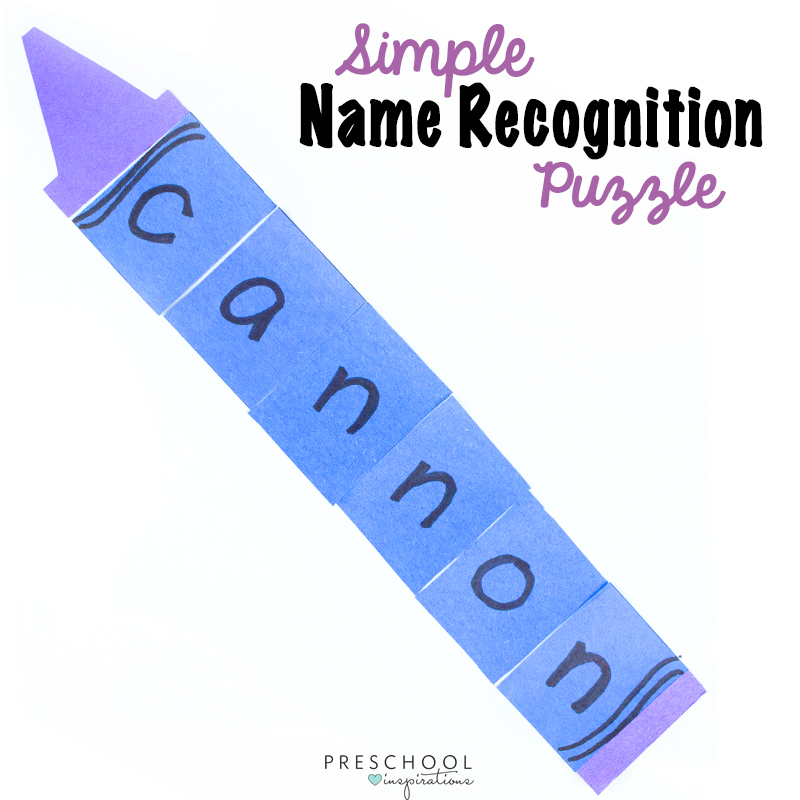 Very few supplies are needed to create this name craft, making it a great go-to activity for the beginning of the school year! Choose two colors of construction paper that are similarly colored (orange and red, blue and purple, etc.). One of those colors will become the “paper wrapping” that the child’s name is written on, the other will form the top and bottom of the crayon. Cut several small squares of equal size to spell the child’s name on. 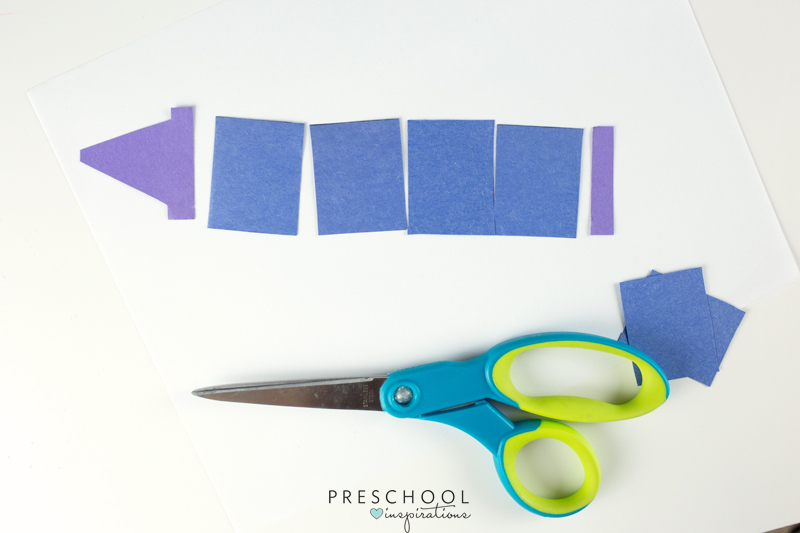 From the coordinating color construction paper, cut out the crayon tip and a small rectangle for the bottom. Use a black marker to write each letter of the child’s name on the paper. Provide each of the pieces to the child (along with a glue stick and white paper), and have them put their name together! Have the child glue their craft pieces to a white sheet of paper. Using a black marker, add a few squiggly lines near the top and bottom of the crayon to finish off the craft and make it look very crayon-like. Display the projects so kids can appreciate their handiwork! Consider letting each child use his/her favorite color for this name craft. Display them on yellow butcher paper to appear as though they are coming out of a crayon box!